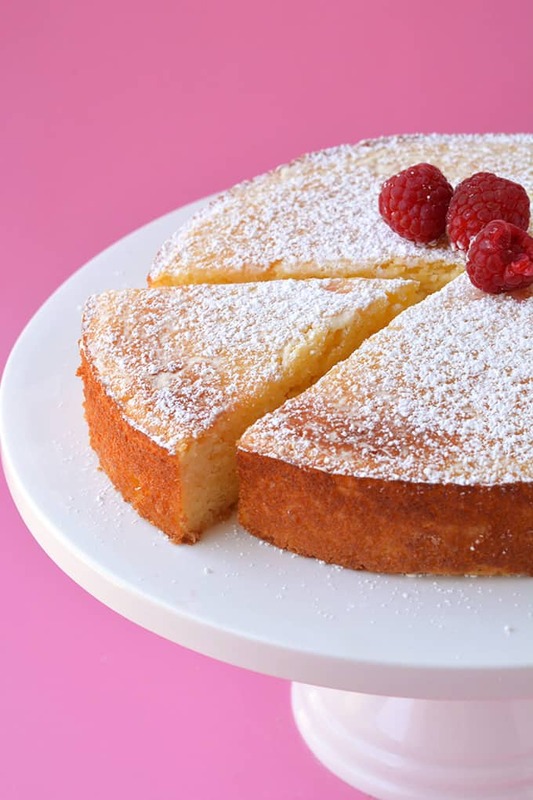 You’ll love this buttery and moist Lemon Ricotta Cake made with fresh lemons. Dusted with powdered sugar and topped with mascarpone cream and raspberries, it’s the perfect lemon dessert. 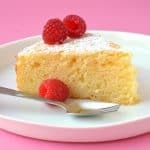 It takes a lot for me to steer away from chocolate-covered desserts, but if there’s one dessert that can make me do it, it’s this gorgeous Lemon Ricotta Cake. With a soft, buttery texture and a rich lemon flavour, it’s my new go-to dessert. I’m proud of this cake. It took me a little while to get it just right but it has made me fall more and more in love with lemon desserts. Not only is it lovely and sweet, but it’s very simple to make too. You only need a handful of ingredients, but it’s the fresh lemons and creamy ricotta that changes everything. 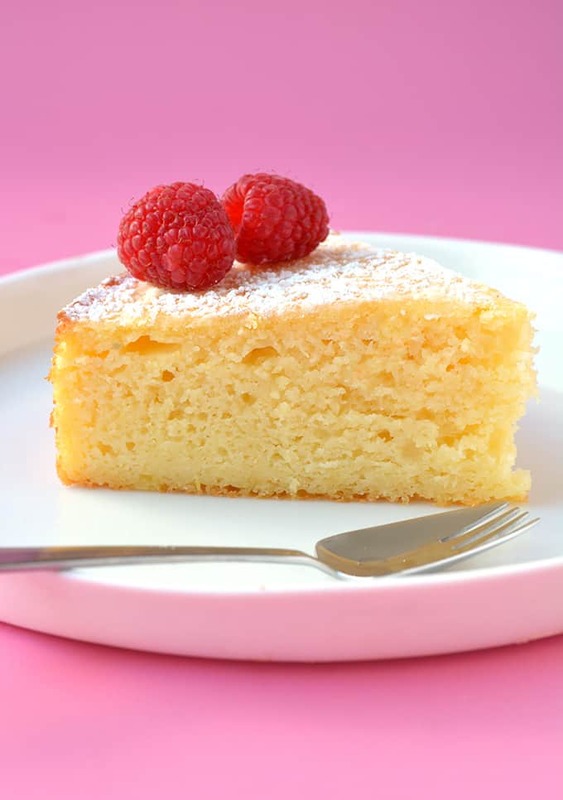 It creates a dense cake, with an enviable texture – not too wet but not dry. To serve, you can simply dust the cake with powdered sugar, add a few fresh berries and a generous dollop of mascarpone cream. Heaven. While I’ll always love a good chocolate cake or a slice of peanut butter cheesecake, this lovely Lemon Ricotta Cake is now on serious rotation in my house. 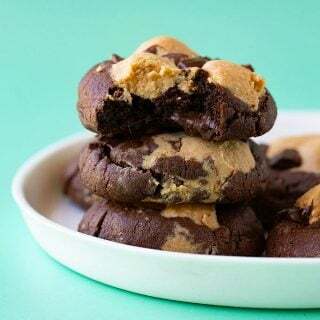 It’s also the perfect dessert for entertaining because you can easily make it ahead of time. In fact, it might even be nicer on day two. 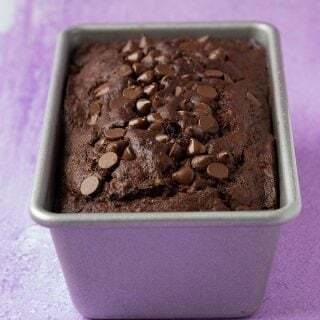 This cake has the tendency to stick to the pan, so make sure you grease the sides of your cake tin well with butter and line the bottom with baking or parchment paper. Adding fresh lemon juice means the cake batter might look a little curdled, but it’s totally fine. This cake is moist and dense, so it won’t rise as much as a regular cake. You can tell it’s ready by inserting a skewer into the centre, it should come out clean. Leave the cake to cool completely in the cake tin as it will be quite fragile when warm. 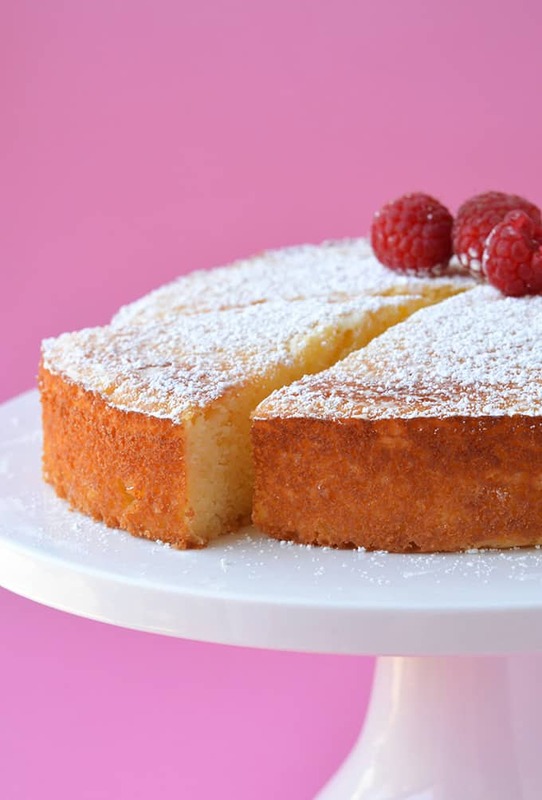 A moist and dense Lemon Ricotta Cake made with fresh lemons. Preheat oven to 160 C (320 F). Grease an 8 inch round cake tin with butter and line the bottom with parchment or baking paper. In a large mixing bowl, add butter, sugar and vanilla and beat with an electric mixer until pale and creamy. Add eggs, one at a time, and beat until combined. Add lemon juice, lemon zest, flour, baking powder and ricotta and beat on a low speed. Add milk and beat briefly until combined. Cake batter may be lumpy and curdled but this is totally fine. 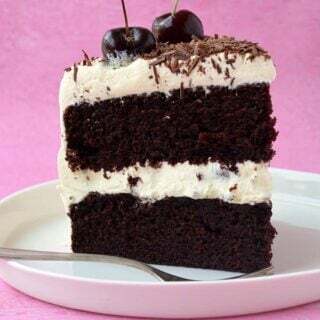 Pour batter into prepared cake pan and place in the oven for approximately 30-35 minutes or until a skewer inserted in the middle comes out clean. Leave cake to cool completely in cake pan. Add cream and mascarpone to a mixing bowl and beat using an electric mixer for a couple of minutes or until thickened. 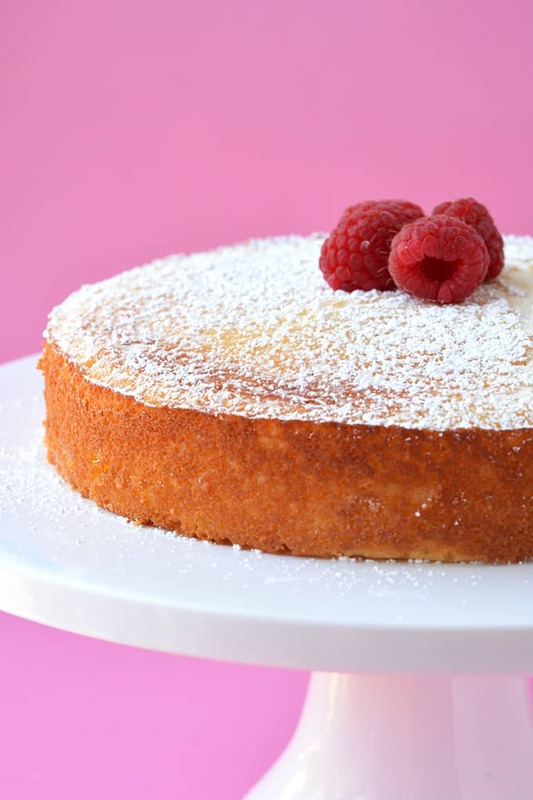 To serve, dust cake with icing sugar. 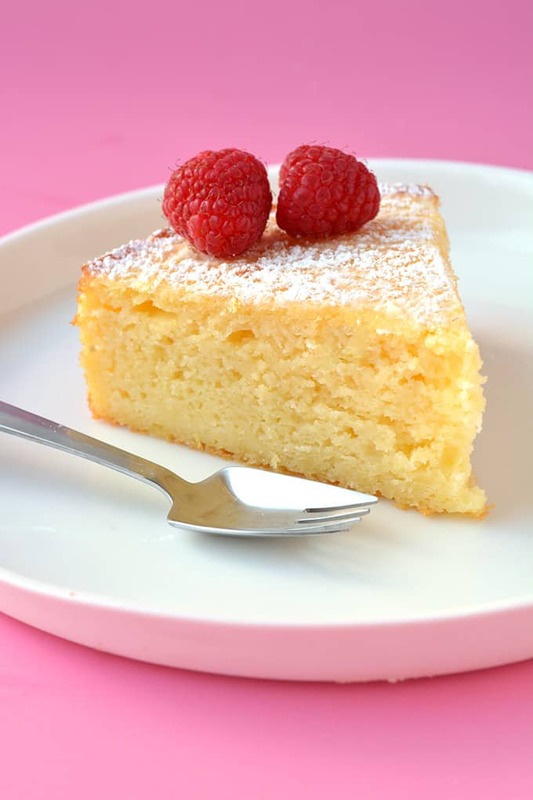 Cut into small slices and serve with mascarpone cream and fresh raspberries. Want to make for Easter. Want to make sure you use regular flour,not cake flour. Thanks! Hey there, this looks amazing! I’m in the U.S. I see it says 320 but most cakes here are baked at 350 so I just wanted to double check that’s the correct temp? Thanks! Hi Hayley! Thanks for asking. Yes it’s correct, a slightly cooler oven is recommended, so the cake cooks low and slow and doesn’t burn on the top, without being cooked through in the middle. Hope that helps! Thanks Jessica, can’t wait to give this a try over the weekend! This recipe is so moist and dense, not to sweet & not to tangy just wondering if it needs to be stored in the fridge? Hi Lozza, so pleased you enjoyed it! And yes it would best to store the cake in the fridge. Planning on making but too much for one dinner! I love lemon and ricotta together! 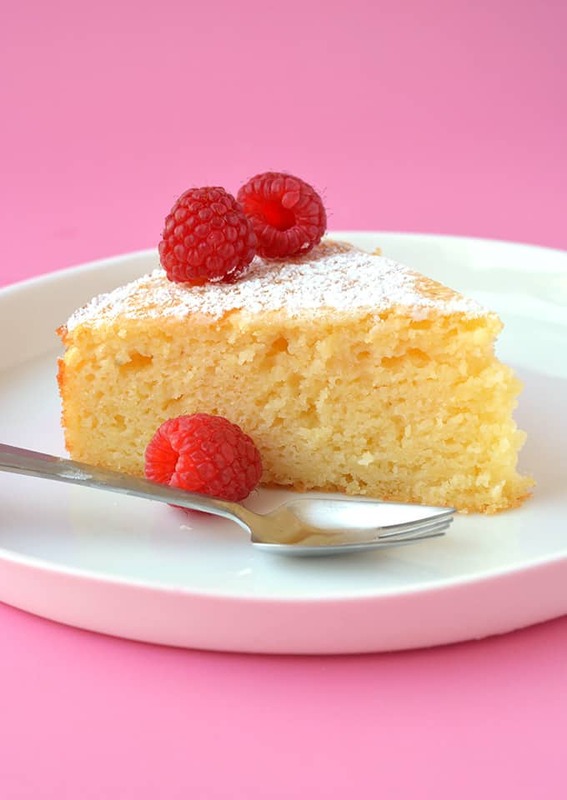 This cake has the most amazing texture – so fluffy and yummy!